Gamescom, the annual video game convention held in Cologne, Germany, is only a month away — kicking off August 23rd. So, of course that means it’s time for all sorts of event announcements to start rolling out from game developers across the board. 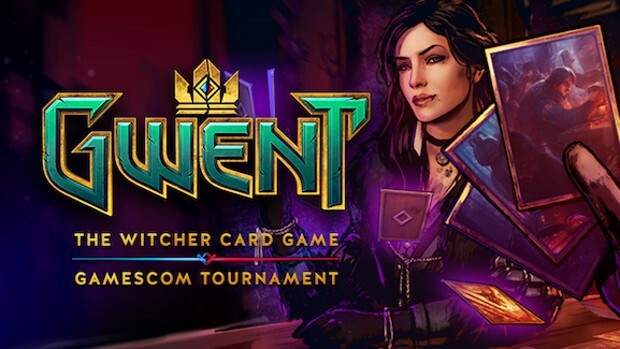 Today, CD Projekt Red announced a 2 day GWENT tournament. The event will feature 8 players competing for a part of the $25,000 prize pool and will run August 25-26 at the GWENT booth in the Entertainment Area (Hall 8 stand B021). The first 7 of the 8 players will be the top ranked from those who sign up to participate in the tournament. Those interested can sign up on the GWENT tournament page. The final participant will be chosen during the Wild Card Qualifier event held at the Gamescom GWENT booth on the 24th. The tournament is a bit of a teaser for the future of CD Projekt Red’s esports plans regarding the game. These plans will be announced at the convention.